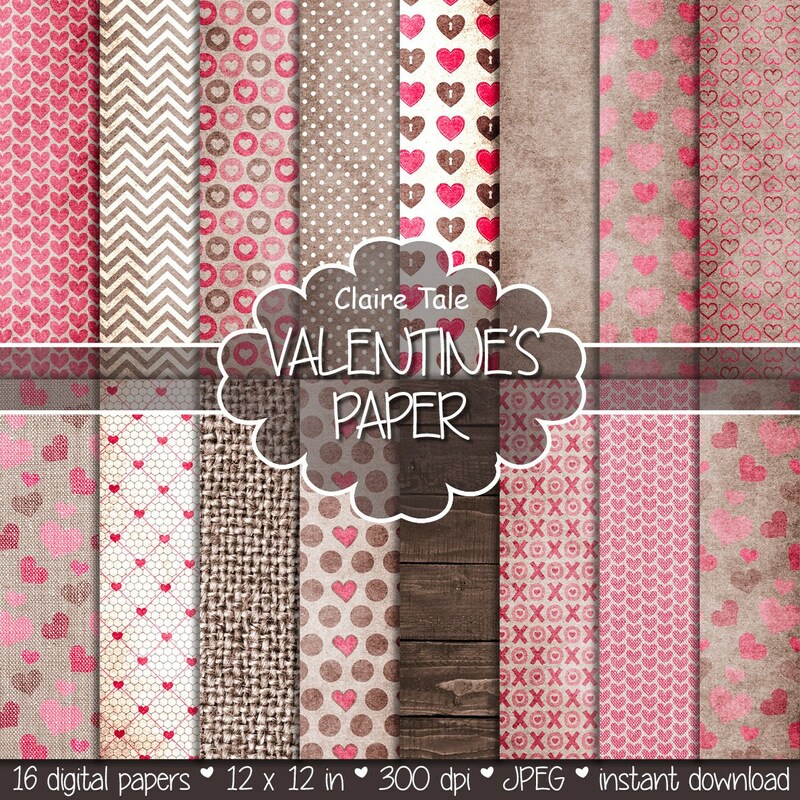 16 Valentine's day digital papers: "VALENTINE'S PAPER" valentine's day backgrounds with hearts in pink and blue / valentine's hearts patterns. Perfect for scrapbooking, invitations, announcements, anniversaries, birthdays, party themes, stationary and paper crafts. Ready for immediate print and digital use. Great product! I was nervous to buy digital papers, but these are wonderful! What is not to love about these Valentine's papers? Very happy with the variety of the pack and quality of work.